How Can Intelligent Dermatology Software Support Skin Cancer Diagnosis? Artificial intelligence (AI) is transforming the way we conceive everyday life, from voice-operated personal assistants to customized streaming services 1. Although less obvious, AI has also started to play a pivotal role in the way healthcare services are offered. This article will evaluate the impact of AI in dermatology to assist in dermatologists’ skin cancer diagnosis. Skin cancer constitutes the most common human malignancy,2 with melanoma (the deadliest version of skin cancer) accounting for more than 73,000 cases yearly.3 Accuracy in determining the potential cancerous nature of a suspicious mole is the priority of dermatologists and dermatopathologists. However, the current diagnosis methods face the challenges of variability in the appearance of skin lesions, adding a layer of difficulty to a time-sensitive task. The chances of survival are greatly reduced for patients diagnosed with some aggressive types of invasive melanomas,3 thus making the use of technological advanced features of great value in diagnostic processes. AI-driven tools contained in current dermatology software can have a pivotal role in adding intelligent analysis to traditional dermatology imaging, thus allowing for a better support in clinical decisions. In turn, as machines are assigned to perform standardized actions with increasing accuracy, professionals can benefit from crucial time dedicated to patient care. Among two of the most useful features contained in current intelligent dermatology software, such as DermEngine, are intelligent image search (content-based image retrieval) and full-body imaging (FBI). 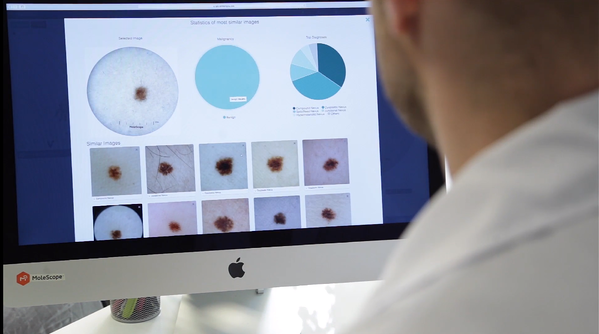 DermEngine’s Visual Search is able to compare a dermatoscopic image against thousands of pathologically identified skin lesions, thus supporting a more accurate diagnosis procedure. Making use of AI technology, this tool can provide with supporting evidence of what the nature of the lesion in study may be, based on its similarity to previously classified ones. Even when human expertise is imperative in the final diagnostic decision, this analysis can be a great aid for increased precision and saved time. Full Body Imaging algorithms are able to locate all spots on a patient’s overview picture of their back. The MoleMap feature allows to place every mole individually in a 3D body map of the patient. Similarly, MoleMatch gives the chance to compare between images taken at separate times, allowing new spots to be easily identified by the medical professional. These tools offer new ways to tackle traditional time-consuming tasks thus leaving more essential time during the consultation for improved patient/doctor interaction. 3. 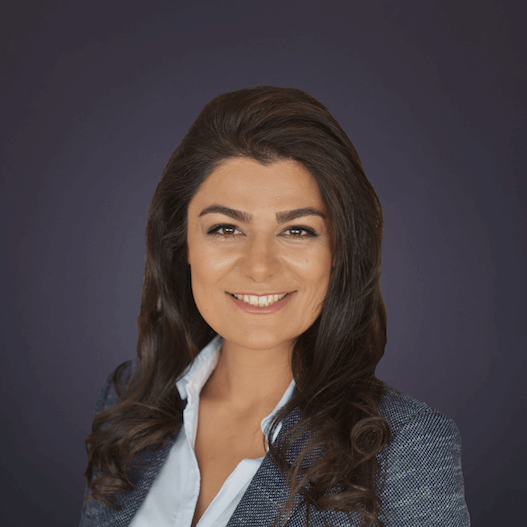 How can AI complement the dermatology practice? Undeniably, AI holds enormous potential to automating repetitive tasks in several disciplines with a level of accuracy and immediateness difficult to beat by human standards.4 However, beyond the power shown by this technology systems, traits such as compassion, interest and altruism are inherent to human beings with few chances of being replaced by trained computers in the near future. Realistically, AI can be utilized as a support tool to complement professional services to assist medical professionals with evidence-based clinical decisions. Beyond the path that AI takes in the coming years, its potential will always be the practical assistance it can offer to daily practice. The true utility of this technology relies on improving services for patients with accurate standardized procedures, available for everyone at any place. Dermatology has experienced a drastic increase of technology-assisted procedures present in intelligent dermatology software. Even with the current controversies faced by AI, it is evident that these advances can play a key role in supporting medical experts in their practice. Far from actual competence, AI can be the ideal ally for leaving repetitive complex task to be done by increasingly accurate machines, while professionals can spend more crucial time in patient care.